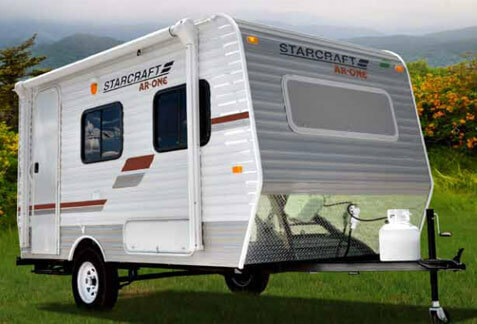 Starcraft has built their reputation on building dependable RVs at affordable prices. Starcraft is camping, pure and simple. In fact, Starcraft RV is one of the oldest and most respected names in the RV industry. The company began in 1903 producing livestock tanks, and other metal farm equipment. In 1964 Starcraft entered the camping marketplace when they rolled out their first line of camper trailers. With a full line of everything from pop-up camping trailers, to premium travel trailers, Starcraft is sure to have something that meets your needs.